Fans of Antique Roadshow often wonder how certain pieces of art can cost that much. For once, they were right to be skeptical. 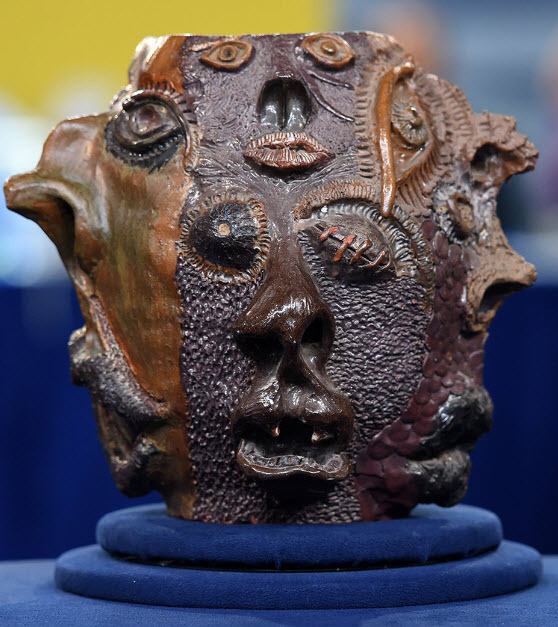 An ugly-faced jug was appraised at $50,000 on the show last year. The appraiser estimated it dated back to the late 19th or early 20th centuries. In fact, a woman actually made it in an Oregon high school art class in the 1970s. Horse trainer Betsy Soule claimed the piece when a friend recognized it on the show, according to the Bend Bulletin. The show rarely makes such mistakes. The appraiser from that particular episode, Stephen L. Fletcher, released a statement in which he said, “as far as its age is concerned, I was fooled, as were some of my colleagues.” He has re-appraised the piece at $3,000 to $5,000 on the PBS website. 2. BOSTON Antiques Roadshow From the Road....We have now visited four cities as part of season 21.. Orlando, Virginia Beach, Indianapolis, and this past weekend Fort Worth. Fort Worth was the only city we had not previously visited and I think most appraisers, staff, and crew were surprised how different this venue was from Dallas just 40 minutes away by car. Photo wizard Valerie Thompson took many shots which we will share on our social media platforms. Fort Worth was great fun, but now we turn our attention to Palm Springs in less that 2 weeks. Today the temperature is 109 degrees, so this will be an adjustment.